What a delightful out of town theatre in leafy Ealing. 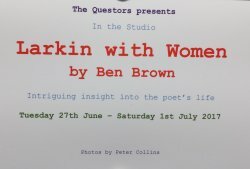 Amazing value, a Beckett double bill for a £5! 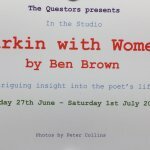 Have just seen LARKIN WITH WOMEN - by Ben Brown - at Questers Theatre in Ealing (West London). This masterpiece was brought to life in a profound way by the individual and collective outstanding performances of the four actors. Few mins walk from the shopping centre, very easy to find, wonderful and professional service during the Twisters show; I will come again. 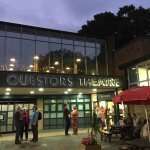 Thank you Questors Theatre! Excellent servise. Seats comfortable but not space for long legs. Bar great for drinks. Not easy to find. 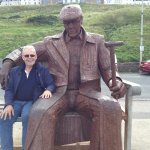 Visited with a mum friend with our two young sons. Lots of room for a pram and the most delicious selection of cakes! Gorgeous room with bunting and vintage teacups etc, a really lovely venue. Thoroughly recommend! 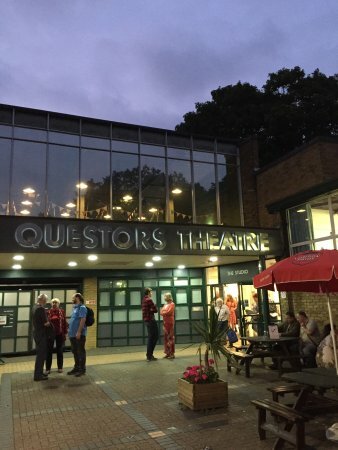 Get quick answers from The Questors Theatre staff and past visitors.